This past weekend I ran around NoHo and Astor Place looking for last-minute items I needed before my Thanksgiving segment on Univision. I had everything except for the tablecloth and napkin rings. Here are some tips on how to decorate your dining table; I will also include a few fun ideas for the kids. Before anything, decide on a color or theme for the table. I chose this dark orange hue. Other popular fall colors are yellow, red, green and brown. However, try to balance the trending colors with basic tones to avoid a monochromatic look. 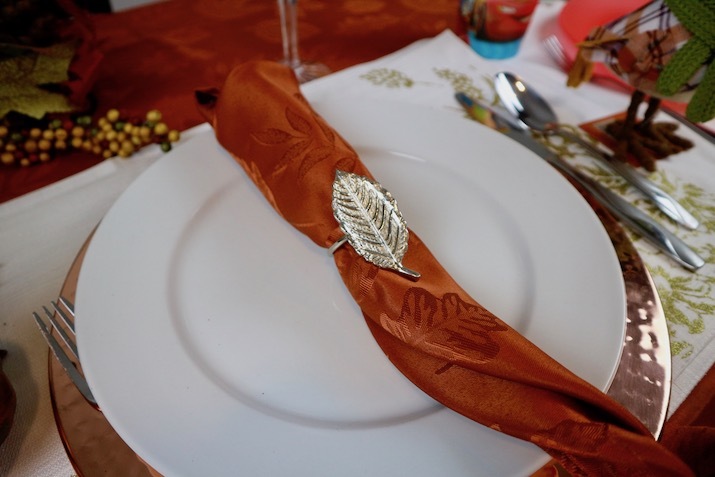 Start with the tablecloth, then the runner, placemats, and fabric napkins. As you can see, I chose white as my basic color for both the runner and placemats as the tablecloth and plate charger have darker tones. They're a matching set with a pop of gold which gives the table a festive feel. Speaking of plate chargers, they're an easy way to make any table setting look more elegant. You can choose almost any color or texture. It all depends on your personal style. When it comes to the centerpiece, flowers are always a good idea. But it can also be as simple as a placing a candle and fall decor such as imitation leaves, pine cones and pumpkins. Kids usually sit on a separate table so instead of porcelain or ceramic plates, consider red plastic plates to stick with your theme. I found this "Cars" cup at Kmart and added it as well. 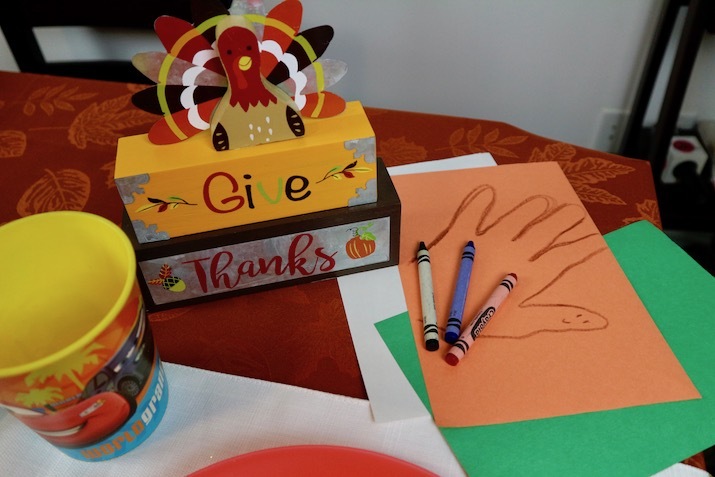 You can also add construction paper and crayons and have them draw turkeys while they wait for the food. Merijoel Duran from Univision 41 "Al Despertar"
Watch my segment on Univision 41 here.